If you are looking for a good toilet bowl that can add to your bathroom fixtures at home, there is no need to look anywhere else. This American Standard Priolo Toilet Bowl 3696.001.020 model is the perfect option for you. 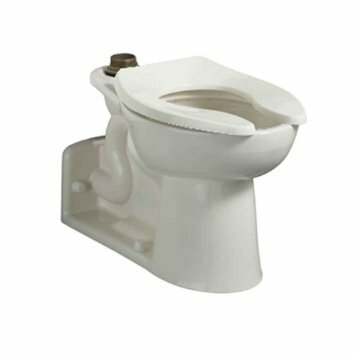 This model features a top spud, slotted rim which can be used for bedpan holding, and comes in a white finish. This bowl comes in an elongated shape with a 16-1/2 inches rim height with two bolt caps. It features a modern style which will certainly prove to be a great addition to your toilet fixtures at home or in any commercial space.